It looks like spring is coming early this year in Georgia, which means that spring-cleaning is also coming sooner for many of us as well. This is a great time of year to spruce up your lawn and your home to get it looking nice, but be sure not to overlook the crucial parts of your home that also need care this time of year, like your plumbing. At Hubb Plumbing we understand the importance of maintaining the health of your home’s plumbing system. We have years of experience working in Snellville, Lawrenceville, and Loganville and we want to share some plumbing tips for Spring so you can keep your pipes flowing and working efficiently. An efficient plumbing system help cut down on your water bill and put money back in your pocket! If those bathroom and kitchen faucets keep dripping after you’ve turned them off, you’ll want to get that fixed. Just one leaky faucet in a home can waste more than 20 gallons every day. That’s a lot of water and money. The sooner you get that taken care of, the sooner you can start saving. In the last 20 years, technology has focused on finding new ways to conserve energy. 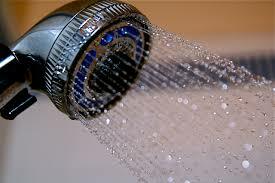 A modern showerhead can cut water usage by 40% or more. If your shower hasn’t been renovated since the 1990s, it’s time for you to do some shopping and find a more efficient option. When pipes carry hot water to your plumbing fixtures, often that heat can get lost along the way. Pipe insulation helps to lower the heat loss. The water getting to you at the end of the line will be hotter, so you can change water heater temperature to 120 or lower and save some money. With low-flow faucets and aerators, you can reduce the flow of the faucets without reducing the water pressure. Install one of these in your home and the savings will add up. Assuming regular water usage, you can save up to 13,000 gallons of water every year. Take some time to follow these plumbing tips for Spring. Did you find any problems? Need a professional for a second look? 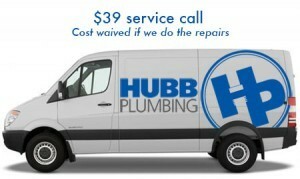 Then call Hubb for the professional and courteous plumbing service you may need. No job is too big or too small. Our commitment is to the Snellville and Gwinnett communities. Our mission is to provide the best plumbing service at fair pricing and to leave you with a great sense of customer satisfaction. We have been and continue to be referred by generations of local Snellville families. And because we know how valuable your recommendation is for our success, we sincerely honor your trust.